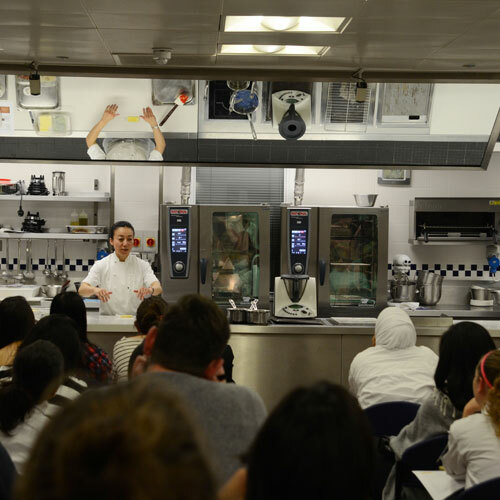 Le Cordon Bleu London welcomed Grand Diplome® alumna and multi-award-winning Pastry Chef Hideko Kawa to our school on Thursday 10th October 2014, for a very special demonstration of pâtisserie exclusively for our students. Hideko Kawa firstly embarked on a career in education in Kobe, Japan. It was whilst teaching home economics - cooking, nutrition and food science – that she truly fell in love with the world of gastronomy and made the decision to pursue her passion in professional cooking. 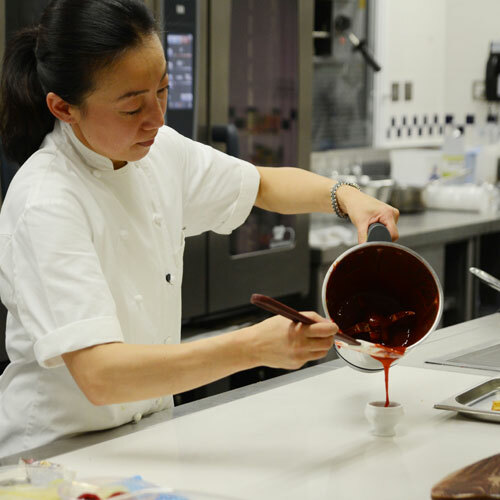 In 2003 Hideko left Kobe for London, to attend Le Cordon Bleu where she graduated with distinction in 2005. 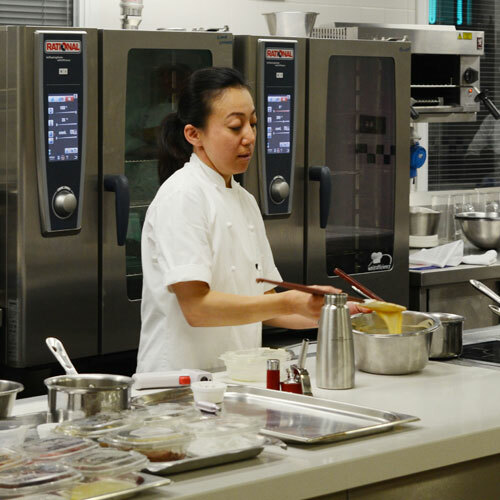 Praised by everyone for her innate talent with pastry, Hideko went on to work in some of the capital’s best restaurants, including 6 years at Restaurant Gordon Ramsay Royal Hospital Road. 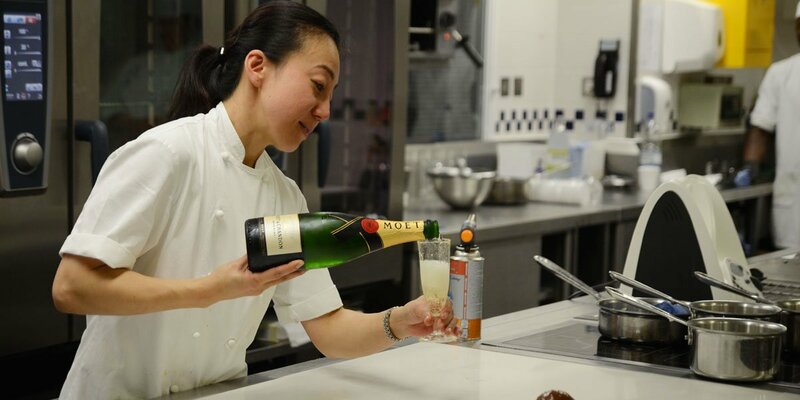 From joining in 2003 as a trainee chef, she worked her way up to become Head Pastry Chef. In 2009 wanting a new challenge, she took a position at The Connaught Hotel as Sous Pastry Chef where she was also in charge of Pastry at Restaurant Hélène Darroze at The Connaught. In November 2010 she joined the team at the three Michelin star The Fat Duck as Head Pastry Chef. Her unique skills and love of experimentation with desserts has made it the optimal great fit. Responsible for the running of the pastry department, she also worked closely with the Development Team on new desserts and chocolate work. 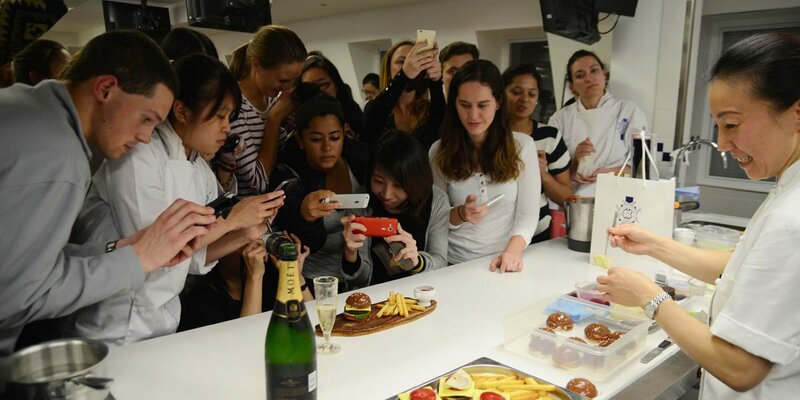 Chef Kawa charmed the audience with her very modern demonstration during which she created a sweet version of a Cheeseburger and Chips highlighting a selection of advanced and innovative skills and techniques to an audience of 80 Le Cordon Bleu students. She highlighted how much precision is just as important as the techniques in pastry. She pointed out that she is still using techniques learned while she was a student at Le Cordon Bleu. Advanced pastry techniques are taught at Le Cordon Bleu London in our Diplôme de Pâtisserie programme. Students also have the opportunity to learn modernist pâtisserie techniques when enrolling for our Diploma in Culinary Management. 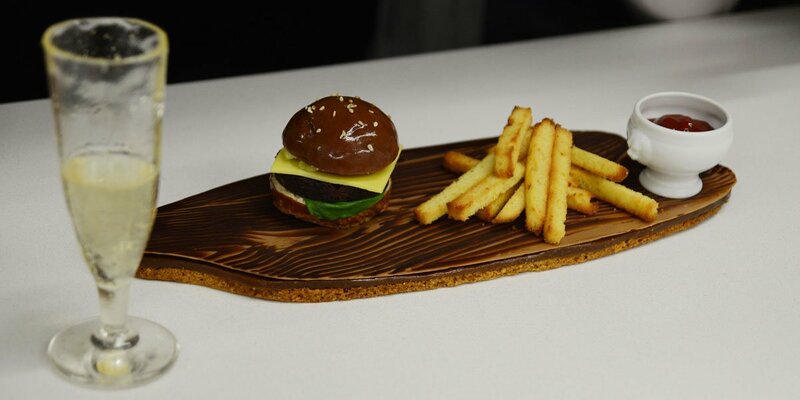 Guest chef demonstrations are held each term to allow our students to experience and learn a variety of culinary styles from the industry’s best chefs. Learn more about Hideko Kawa by reading her alumna profile or visiting her website: The Sweet Art Lab. With only few months before the start of the degree, we met with Thomas Kyritsis to discuss the programme and understand what makes it so special.